MECHANICVILLE - Mrs. Hazel R. Conerty, 101, of Route 146, died suddenly after falling ill earlier in the day, Friday, Sept 14th at Samaritan Hospital. Born in Troy, July 27, 1917, daughter of the late Arthur and Mabel George, she was the widow of Harry G. Conerty, Sr. whom died in Feb of 2001 after 59 years of marriage. Hazel worked at the NYS Dept of Motor Vehicles for 25 years, retiring years ago. A longtime member of the Eastern Star’s Star of Liberty Chapter 379, she was also a member of the former Emmanuel United Church. She enjoyed crocheting, knitting, reading and solving puzzles, and really enjoyed watching pro golfers weekly. In spite of her age, Hazel was able to take care of herself, tending to her residence and flowers, for almost her entire life and she had enjoyed the company of her family, grand and great grandchildren. Survivors include her son and daughter-in-law Harry and Marion Conerty, Jr of Mechanicville, grandchildren: Tammy and husband Rick Panettta of Glenville, Michelle and husband James Simkulet of Latham and Stacy and husband Daniel Mack of Wynantskill, along with great grandchildren Lauren, Matthew, Michael and Tyler, along with nieces, nephews and their families. In addition to her husband, Hazel was predeceased by her three sisters Mabel Althouse, Bernice George and Gladys Lewis. Burial in Hudson View Cemetery. 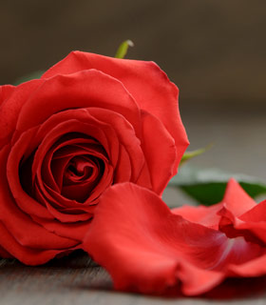 In lieu of flowers, remembrances may be made to either the Hillcrest Fire Dept or St. Jude’s Children Research Hospital in memory of Hazel R. Conerty. To send flowers to the family of Hazel R. Conerty (George), please visit our Heartfelt Sympathies Store. Haxel was the nicest woman I ever met. I used to serve her lunch at the Sr. Center. she will be missed. I am sorry for your loss of your love one, Mrs. Hazel R. Conerty. Expressing my sincere condolences to the family. May the God of all comfort sustain each one of you during time of grief. 2 Corinthians 1:3,4.